What Is Aircon Pressure Test and When Should You Perform It? An air conditioner that is not functioning properly can be the cause of a lot of discomfort especially during the hot Singapore weather. The device cools the surrounding environment typically through a refrigeration cycle. The cooling effect then provides favorable temperatures. Sometimes the gas used in the refrigeration cycle, usually known as a refrigerant gas, gets depleted. This is the most common sign of a faulty air conditioning system. When you constantly have to top up the gas, then you most probably have a leakage in the system. Carrying out an aircon pressure test will help you identify the leakage and decide on the right corrective measures. The test is done by inducing high pressure into the fancoil, condenser and the refrigerant piping system in order to identify the leakage area. Carrying out an aircon pressure test is not exactly a repair work. It is only done to figure out the leakage area and there after find the right repair mechanism. It will help the service company to have an idea about the scope of repair work needed to get the conditioning system functioning properly. If this is not done, finding the location of the problem may prove to be very difficult and the damage may become even bigger. That would make repairs more costly and the whole system ineffective. When should you perform an aircon pressure test? As noted earlier, the test is basically done to identify a leakage area in the cooling system. On the other hand, it is difficult to know right away that the reason why the air conditioner is not working properly is because of gas leakage. So when should you find it necessary to carry out this type of test? The is the ultimate red flag. When you regularly have to top up the refrigerant gas, then most likely your air conditioning system has a leakage somewhere. Carrying out the test will help you identify the leakage area and find the right method of repair. It is really expensive to have such an aircon because of the high amount of resources spent on constantly refilling the gas. By identifying the leakage area, it is possible to institute the correct repair measures and get it properly working again, in the process saving a lot of resources that would have been unnecessarily used. Sometimes the leakage can be so small that you'd most probably not notice it. The only problem is that in the long run, you'll still refill the refrigerant gas a couple of times more than you actually should have. It is possible to catch such small leakages during a scheduled routine service. You'd also be preventing further damages as the leakage is probably bound to become bigger with time if not taken care of. Most aircons require regular maintenance services and therefore using such moments to test for pressure is convenient and will also save you a lot of time and resources. When the air conditioning system stops functioning properly, it is important to carry out an aircon pressure test. There are many reasons why the system can stop working at an optimal level, key among them being depletion of the refrigerant gas. Sometimes the problem may stem from the wiring system but on most occasions the real cause is a gas leakage. In order to decide on the correct repair mechanism, carrying out a pressure test is highly recommended. It gives you the ability to make an informed decision and find a lasting solution to the problem. It is very easy to detect a faulty aircon system more so during the hot weather when searing temperatures make every room difficult to stay in. Air conditioning systems are generally more effective than conventional fans. Even during very hot weather, they offer great cooling effects. When that does not happen then carrying out a pressure test would be in order. 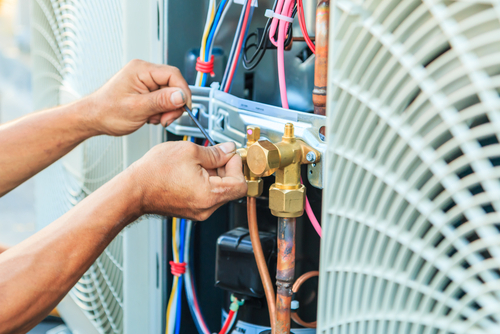 When you first install the air conditioning system, it is prudent to carry out a pressure test. It's always best to start off on the right note and carrying out this kind of test only ensures that you install a system that will serve its purpose in the best way possible. An initial test can also be considered as a test run to determine whether you are actually getting value for money. If the system was already damaged at the time of purchase, it is possible for the selling company to offer an exchange or carter for the necessary repairs. If you wait for very long, it is easy for them to deny responsibility and leave you with the burden of footing the repair costs. Most electronic devices usually have warranties which is a great thing because it protects you from economic loss for a certain period and ensures that you get value for money. 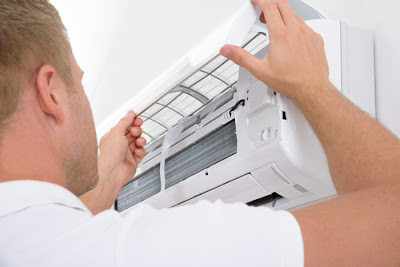 Some companies that sell aircons offer warranties to their customers for a specific duration which means that in case of unintentional damage, they get to carter for the repair services or provide replacements. Carrying out a pressure test before the expiration of the warranty period provides you with the opportunity to take advantage of such an offer and also save your money. It will also ensure that you get quality repair services done by professional contractors. These are some of the occasions when it is necessary to perform pressure tests on the air conditioning system. 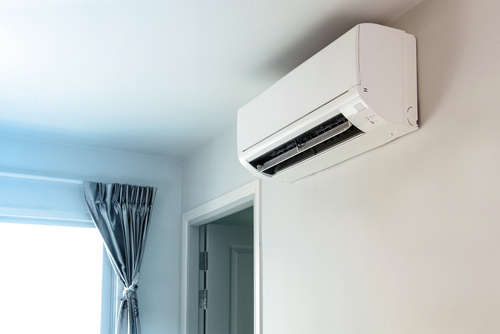 A properly working air conditioner cools the surrounding environment and makes it suitable for those around it. It comes in handy during hot weather conditions where even a well ventilated room cannot do enough to reduce the hot temperatures. The refrigerant gas is the most important component of the cooling system and without it the aircon cannot provide the customary cooling effect. The gas quickly gets depleted whenever there is a leakage in the system and that is why it is important to carry out the pressure tests and identify the leakage area. The right repair solution will always get your aircon working in perfect condition.